Don't worry, I'll rush Stonehenge to found the Church of Horton. So, how did you get banned from SB? You misspelled brake down intentionally right? You spelled it the same way in my PM to you. Do you plan a getting your revenge and leading an invasion of SB? How do you invade SB when most people are from there to begin with? By invade it usually means to organize some of the users on your site then "invade" by going to another site and causing trouble that usually involves rule breaking. A famous example being the 4chan/Tumblr War. Its only a matter of time High inquistor Horton! The Chaos will spread and consume the planet. I beseech you to declare exterminatus! OMG, Horton has Red Text! Only Sith deal in red stuff! I NO DE HORTON IS STILL IN HIS CAGE NON BELIEBA! DE WHAE SHALL LIBERATE YOU HUMAN HORTON! 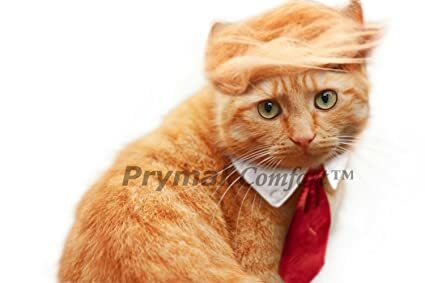 Mew trump mew. Mew mew mew!!!!!! Question, say I wanted to post something about ideas for a few stories and discuss them, would I post them in Creative Writing or somewhere else like The Coffee Shop? Ah thanks, sorry to bother you! Realized I didn't follow the cat. Thank you for making this website with the specific ability to upload pictures from my phone. Do we not have thread marks? Wait, Xon is involved here as well? What's up with that notice? THASF went ahead on a rant about gamergate in a PM he sent out on SB and as a result I got people PMing me claiming this was a gamergate site. ...Honestly, I like THASF well enough but every now and again (... uh what gender THASF is again) they post/say/did something nutbars. THASF is male I think. He mentioned it a few times when he was on one of those economic rants that he tend to do. Hey Horton. Was there any particular reason you invited me over, or was it just the active posters thing? And to think you saw some special quality in me. I must leave, so that I can stand melodramatically in a thunderstorm, crying my woes to the unforgiving heavens. Well if you can get other SB friends, feel free. I’ll see if some people want to come over. Do you have a link to the thread on SV that Thasf mentioned over PM on SB? Why did you have Lord of the Rings who Is not me at all be invited to this new fourm? How many people can be invited into a conversation? Unlimited if you have subscriber on SB. Here? Unlimited I think. You're welcome, I hope we manage to do a better job then DWW. Feel free to get friends to join.